I’ll try to get one over the weekend. Good thing I work in an office that’s freezing all the time. Quick and dirty fit pic, haven't really worn this yet as it's so warm. Not the most flattering angle (right at the knees) and excuse the Birks as I didn't want to take a photo with no shoes on. I saw your story on IG. Looks great man!! Is that the 12mm or did you go 13? Congrats on the shirt. How’s it feel weight wise? I originally ordered the 12mm because the site says that’s normal for work shirts and top buttons for westerns. 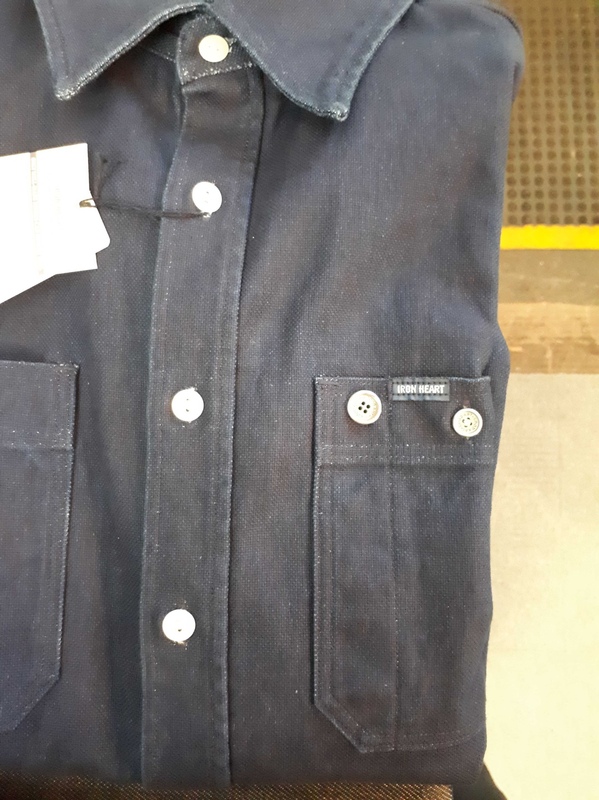 But Adam sent me a picture of it after they sewed in on because he thought it looked a bit funny, the cats eye buttons on this shirt are 13mm so I ended up paying the $10 difference for the 15mm GA button. And I’m glad I did. As for the shirt, it’s amazing! Super soft and cozy right out of the bag. It doesn’t feel any heavier than my UHFs or my wabash shirts. 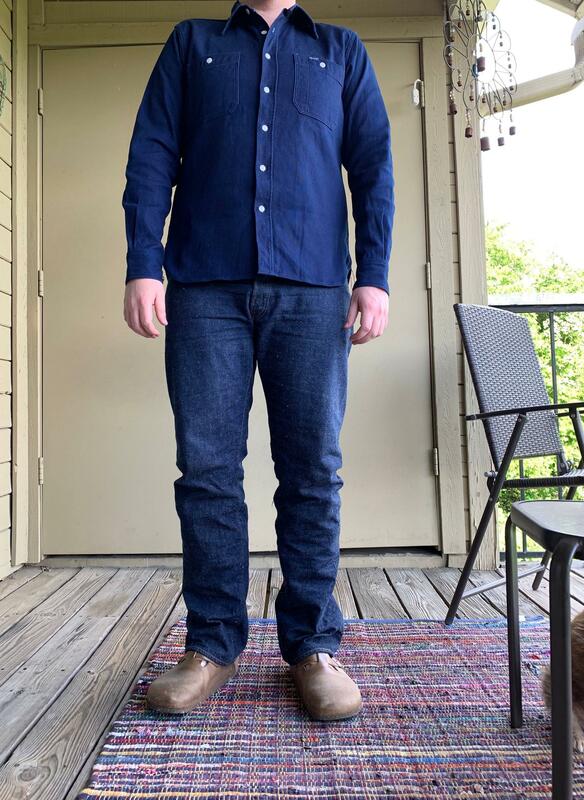 Is this fabric considered a "denim?" Is it a duck fabric? 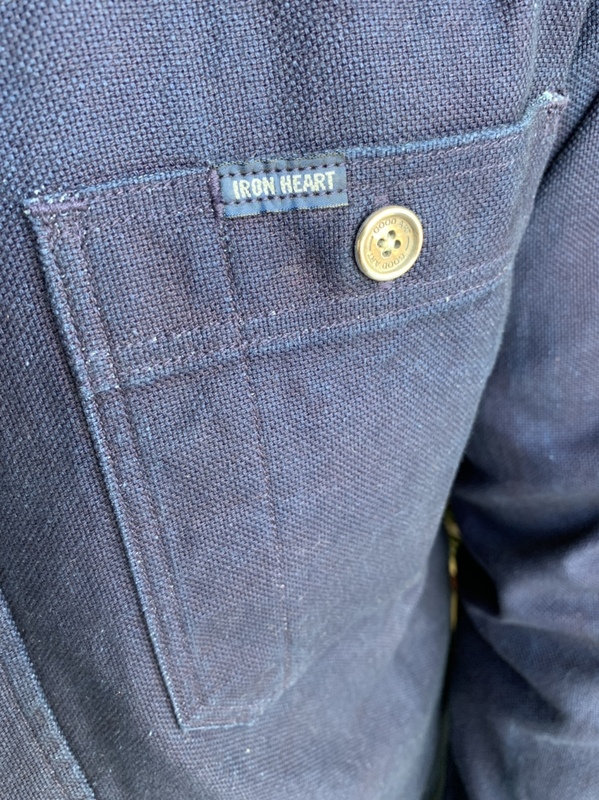 It is not a denim (denim is a twill weave). it is not a duck (duck is a prime weave). This fabric is a double weave, so it is woven differently from denim or duck. Edit - when looking at the product I noticed a mistake in the description which I have now fixed. 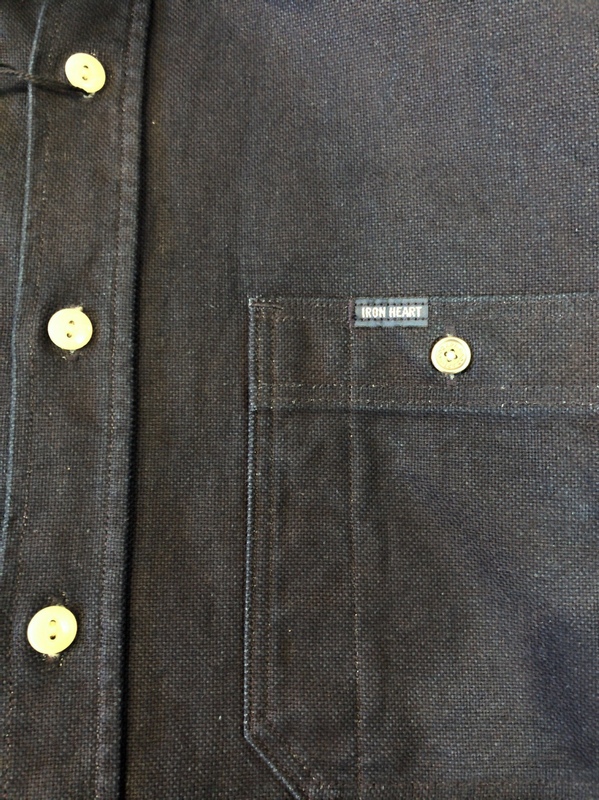 The face is a prime weave (so like a chambray or duck), the reverse is a twill (like a denim). But it's neither a duck or a denim. So it's woven with 3 threads? An "outer" warp, a weft, and an "inner" (or skin side) warp? I just received my shirt last night and I looked at it and it finally dawned on me that the fabric is pique. Not Pique like the guy that plays that terrible sport. but the fabric pique. Excellent stuff.